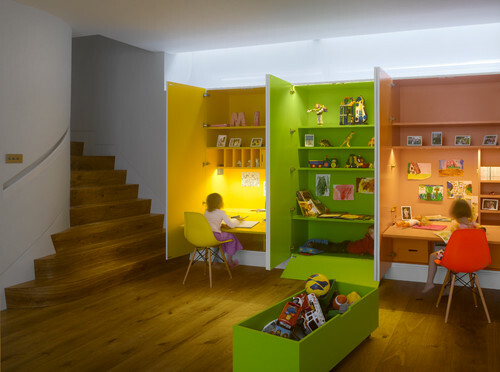 You can create a storage system where your children can be responsible for their toys and have fun doing it! Implementing a simple toy storage system will make it easier to keep clean-up time consistent, and easier to maintain. Even if your children are older, it’s never too late! 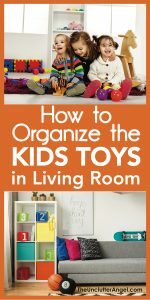 By starting with organizing their toys, you are teaching them skills they can use throughout their life. The goal is to make toy clean-up easier and manageable, and not to expect perfection. Implement the tips below and you will know how to organize the kids toys, create toy storage, and keep it organized! Before you take the time to create organizational systems, I recommend that you simplify your children’s toys first. You can go about this in two ways. You can sort through them on your own when the kiddos aren’t around, or you can sort the toys with them. Do what’s best for you. Some children have a difficult time letting go of old toys, some have no problem getting rid of things. I believe this is based on personal experiences and their personalities. Consider as well the children’s ages, as some may be too young to understand the process. I have sorted using both methods. I have worked with my children asking them questions about their toys, and have also had my kids go through their items once they were a little older. You can have teachable moments when it comes to giving and donating to others, but that’s easier for some than others. When simplifying and sorting the toys, keep the task simple. Set a timer, use an hour glass, or whatever works for you. Working in small sessions will keep the sorting less stressful and more productive. Have baskets, boxes or bags available for the trash, broken toys, and donations. Create one area just for the toys that will stay. Keeping these piles totally separate will help to keep the discarded toys from creeping back in. Set a time to have this task completed. Can you complete this in a day? In a week? Set a day and time to have it done. Once completed, you will be able to see what remains and how much you have left to organize. Now that you have sorted, it’s important to have boundaries for the toys. Where do you want the toys to be when they are not in use? I use the guideline that when toys are not in use, they need to be cleared from surfaces. This includes the couch, counters, coffee tables, and floors. It may seem impossible, but I have some ideas and toy storage solutions for you! Using the end of the day for clean up, like right before bed, will keep daily pick up consistent and keeps you from the stress of having to remind the kids. It may not work perfectly, but it will get easier over time if you stick with a regular clean up time. Applying a SIMPLE system will give kids a better chance of success in maintaining their toy organizing routine. You can have a specific day of the week that is pick up day, or a certain time of the day, like before bed, to get toys and books back in order. Every child is different, so you may need to try different ways to keep up with a routine. Making the task of keeping toys organized fun and simple, you will have much better chance of success! Your children will be able to take the skills they have learned and continue to apply them to other areas in the home and in their life. 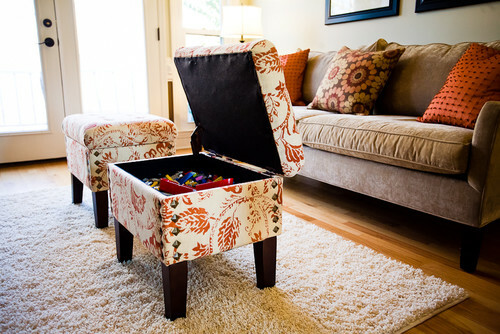 Decide how much space you have in your living area and measure before you purchase anything, like a toy chest. 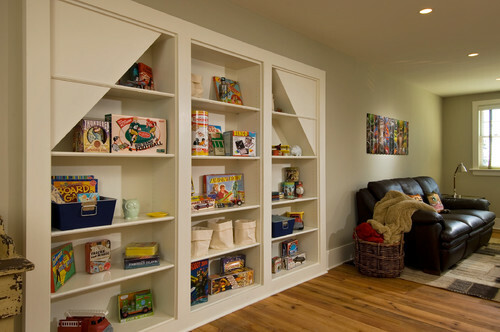 Do you have room for a “kid’s corner” or a toy box? How much space are you willing to designate to the kid’s toys. Here are some ideas that are easy on the eyes as well as helpful. 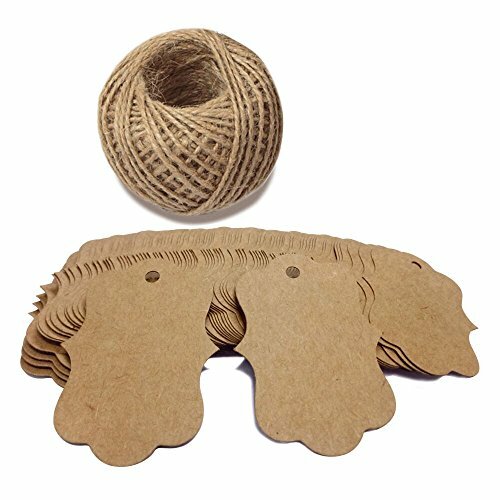 This large toy storage unit is made of jute and has a wire to help keep it’s shape. It also can collapse for easy storage and has a plastic waterproof lining. Having open toy storage bins makes cleaning up easier at any age. You can label each bin if you would like to keep specific toys separated and not mixed up. You can label them by type of toy, or each child can have their own bin to use at clean up time. These tags are great for storage bins. 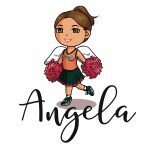 You can use a permanent marker to label the tags, or you can get fancier and use color markers, crayons or stamps to create cute designs on tags. Of course with 100 tags, your kiddos may want to get super organized and label everything around the house! The cubed shelves below are perfect to hold both fabric drawers for toys and plush animals, as well as storing books. 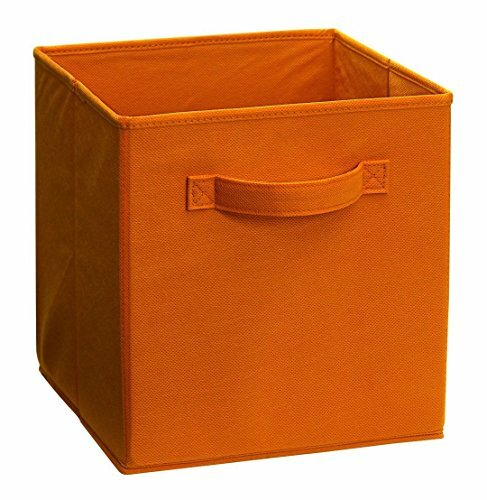 The fabric drawers come in a ton of different colors if fiesta orange isn’t for you! These types of storage shelves are easy to keep clean and maintain. I have them in different parts of my home. Books can become just as messy as toys in living spaces. Books left on the floor can get ripped and worn from being stepped on. (I know because I have kids who loved doing that!) Book racks makes it easier to keep books picked up and off the floor. 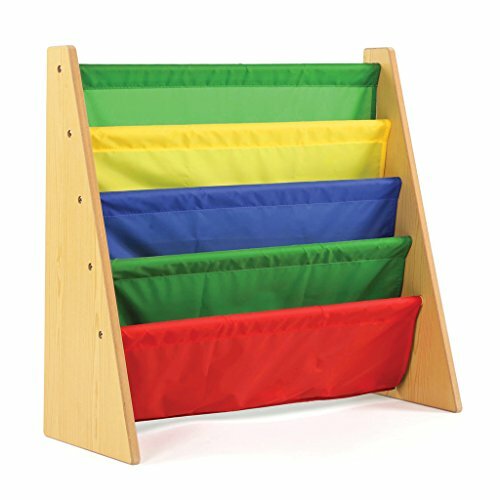 This book stand comes is different colors including brown and white. 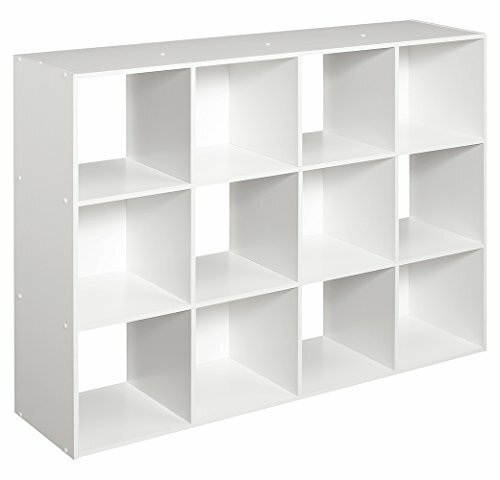 It will keep books easily organized and accessible for the whole family. The sleeves are made of nylon and are designed for books to drape over so kids can easily see the covers of the books. This set-up is cool because you can see the cover of each book! 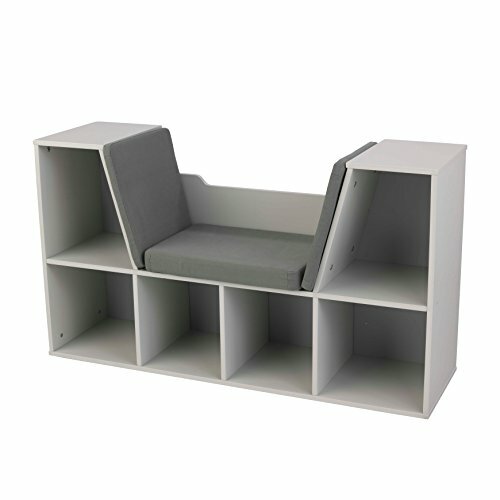 This bookcase has a fun little seat for the kids and plenty of space to store books. This space is a good size for children . . . not adults. It can make reading time a little more cozy and fun, and maybe even a motivator to read! I like to encourage reading for my kids, whether it’s a special place to curl up or they can pretend they have their own library. When there are special areas or nooks that have a specific purpose, I have noticed that my kids are more likely to keep it cleaned up and organized. 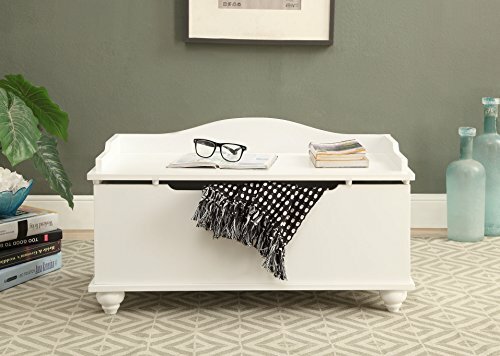 This bench and book storage is perfect for any age, toddler to teen! If you prefer to keep the toys out of sight, a toy box may be a better solution for you. You can use smaller plastic containers, like plastic shoes boxes with lids, to keep toys separated in the toy box. Labeling each box may help too if you want to avoid going back to toys being unorganized. 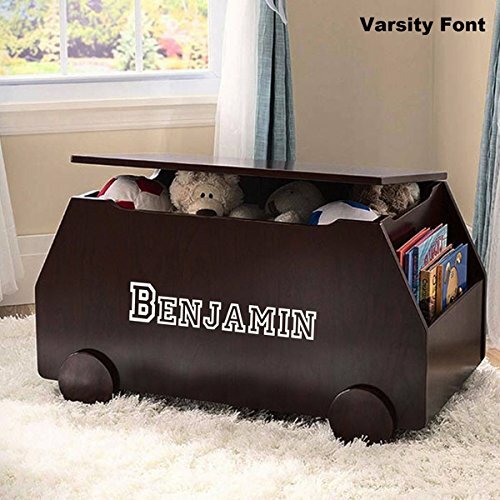 This cool personalized toy box comes with a safety hinge for the lid so sweet little fingers don’t get hurt. It has rounded corners and smooth edges and offers custom font choices. Makes clean up time super easy! This chest is perfect for the family room because it can blend in with other furniture. If you would rather not have items that look too much like a playroom, this storage unit is a great solution! 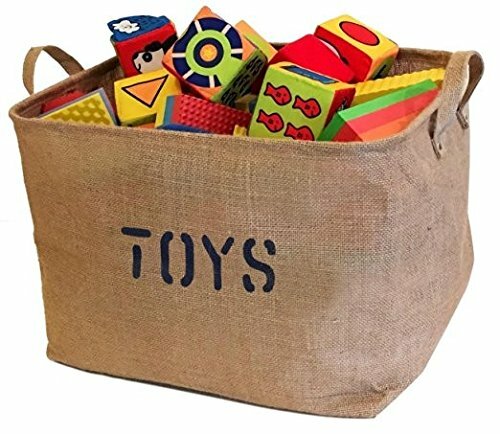 You can store toys in smaller plastic bins, as well as blankets for the family room. As the children grow, the chest displayed below can be dedicated to blankets and storage for other items. 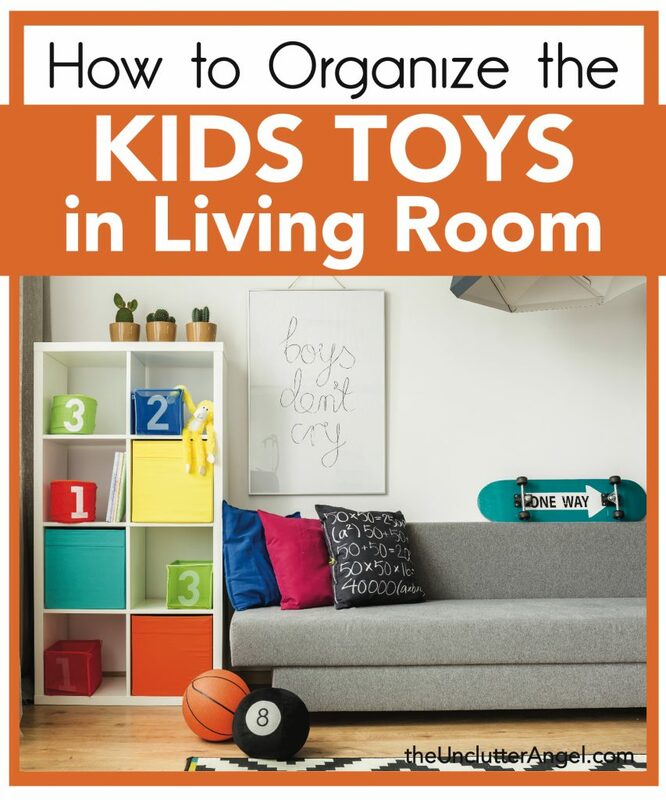 By implementing these tips on how to organize the kids toys in living room, you can have a fun family atmosphere. No more worrying about guests coming over and being embarrassed and looks like a bomb blew up in your living room. No more frustration tripping over toys, books and plush dolls. I think it’s so sweet watching the kiddos play with their favorite toys, but it’s so cute when they are left all over the house. It’s great for practicing agility I suppose. You know now how to organized the kids toys in living room, so have a great time creating a special space and playing together! Such a clever thought for toy storage. It’s a space saving ideas. Thanks for sharing this creative idea. I have followed it for my kids juggle create for messy toys. Glad you got some good ideas! kids room is messiest place in every house. Mom has to busy all time to keep it organize. My house is like that. So i am searching how to get rid of this problem. Thanks for sharing such a nice ideas of kids room organization. kids room is messiest place of my house. All time i have to busy to arrange my kids messy toys. Thanks for sharing such a helpful tips to organize kids room.